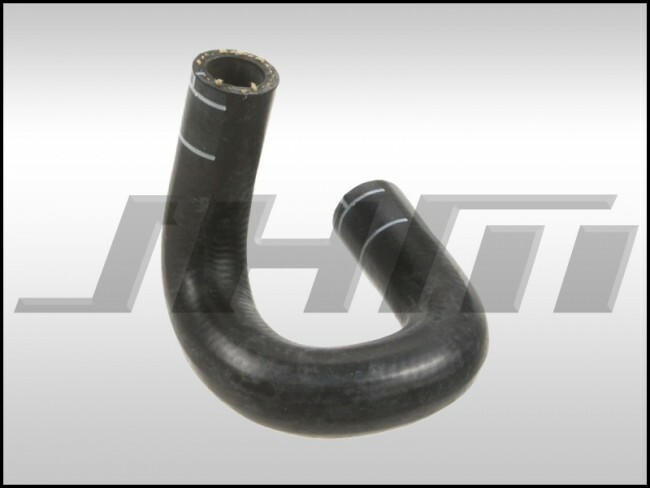 This is a brand new, OEM coolant hose for your B6-A4 1.8T or your 2001 to 2005 VW Passat with the 1.8T AUG or AWM motor. This is the oil cooler return hose. It takes coolant from the oil cooler/oil filter housing to a hard pipe on the top of the motor. This hose is made by Audi and is the same hose that came on the car from the factory. The OEM part number for this hose is 06B121058BD or 06B 121 058 BD.